Esther Bliek is owner at Bliek Interim & Advies, and supports organizations in the public and private sector in the Netherlands as a Data Protection Officer. After finishing her LL.M in 1994 she started her career as a Management Consultant at the Dutch Police Force. After having gained 15 year of experience within Local Governmental Organizations as a Change and Implementation Manager Bliek broadened her horizon. 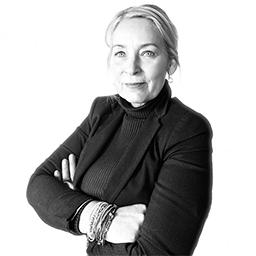 Based on her working experience and the belief that a proper information system is essential for the Board to be able to manage an organization in an adequate way Bliek decided to choose for the Consultancy Business on the intersection of Business & IT resulting in a career as Privacy Expert. Bliek is an Expert in Privacy law, Privacy Program Management and she knows how to translate legal requirements into pragmatic solutions for the Business. She developed Privacy Management Control Frameworks, conducted Privacy Impact Assessments and is an experienced public/regulatory affairs professional.